Self-confident people are admired by others and inspire confidence in others. They face their fears head-on and tend to be risk takers. If you are struggling you’re not alone. 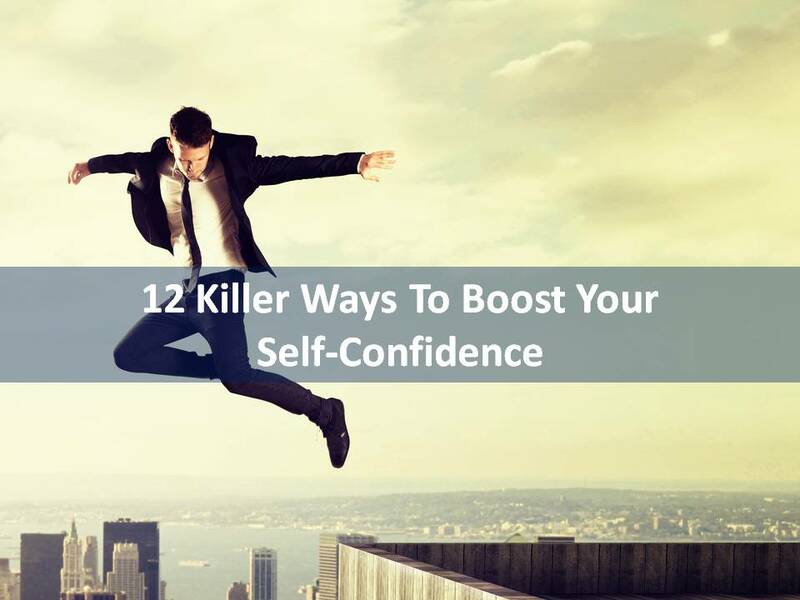 Here are 12 killer actions that will boost your self-confidence. Identify any negative thoughts you have about yourself and challenge each and one of them. Find evidence to counter the negative thoughts. Suggestions: Call someone instead of texting them, Wake up early to go for a run or jog, volunteer for tasks that you aren’t sure you know how to do. Negative thinking is a habit that is ingrained your mind. Rewire your brain to deliberately think new and positive thoughts. When negative thoughts start rolling in your mind, switch tasks and find something else to do or think about. Suggestions: Switch tasks, ask the individual speaking to you about negativity to kindly stop, remove yourself from unhealthy situations the moment you know it is clinging towards it. When you arrange your facial muscles in the form of a smile you will feel more content and confident in your skills. It will trigger positive feelings in your brain. Pay attention to how you stand. If you stand up straight you will appear more confidence and will therefore feel more content in all tasks that you complete. There’s nothing more empowering than to discovering you are good at something. Once you know what you are good at, you can gain a sense of self-fulfillment and maximize your self-confidence. Start your day by reading a motivational quote. Take note of their personalities, their struggles and the ways they handle their affairs – some of them are great role models too! Take pride in your individuality and work. Develop your skill, but don’t lose your voice. There have been many skilled individuals throughout history, but those recorded in history books are the few that spoke in their own voice and didn’t compare. Nor did they compare themselves to others. Every experience should be viewed as a learning experience, no matter the outcome. This includes the experiences that we deem as failures. We grow every day through every experience. We must learn what doesn’t work before we can apply what we know will work. So each time we “fail”, we grow an inch as well. It may seem obvious, but it’s amazing how much of a difference a shower or shave can make you feel in terms of your self-confidence and self-image. This one little thing can turn your mood around completely and instantly. When going into war, the smartest leader learns to know their enemy very, very well. You can’t defeat the enemy without knowing them and their personality. And when you’re trying to overcome a negative self-image and replace it with self-confidence, your enemy is no one but yourself. Get to know yourself well. This is the best time to evaluate your inner circle, including friends, colleagues and family. This is a tough choice, but it’s time to seriously consider getting away from those individuals who put you down and take away your confidence. Learn everything there is to know about your field, job, and task— whatever you need to conquer. If you are prepared, and have the knowledge, your self-confidence will rise as a result.